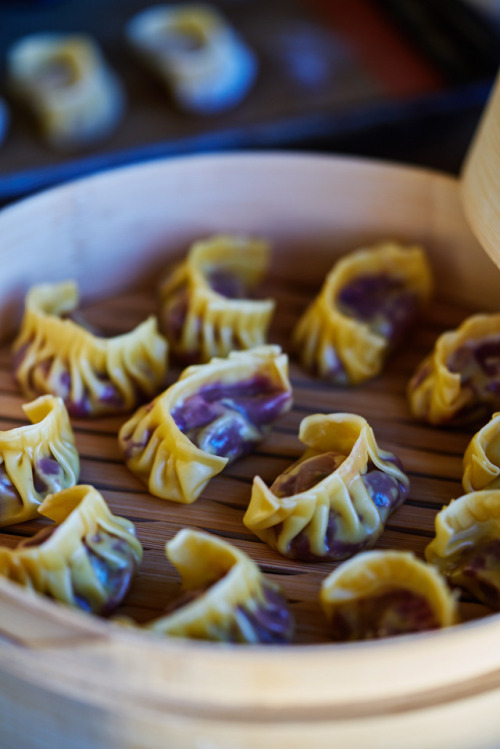 Purple Sweet Potato & Cabbage Dumplings — With few ingredients left in the pantry, these purple sweet potato & cabbage dumplings are more than a treat. Works with any sweet potato and any cabbage…but is always perfectly delicious. I’m talking sweet, savory, salty, and optionally spicy perfection. Are you in?